India's bowling coach Joe Dawes was apprehensive about Ishant Sharma's fitness, saying the pace spearhead will undergo tests in the next few days after missing out on the Third Test due to a sore leg. Tall fast bowler Pankaj Singh replaced Ishant in the Indian squad. "Ishant has a sore leg. We need to do a few more tests but we have 11 days before for the next Test, so we will watch him carefully," Dawes said after the day’s play. Asked at what juncture the team decided to leave him out, he said, "Pankaj was named in the first 12 yesterday. Ishant had a bowl in the morning before toss but he felt sore and then around 10.20 am (about ten minutes before toss) it was decided." England reached a comfortable 247 for two on an easy pitch after Alastair Cook came back to form with 95 runs and Gary Ballance scored an unbeaten 104 runs, his second hundred of the series. "Maybe it was not the best days for our bowling attack, but Pankaj coming through was a real positive for us. He could have easily got a couple of wickets but things didn’t go his way. Bhuvneshwar (Kumar) had an off day. We are working on the consistency of our bowlers," said the coach. Dawes also informed that the young Indian attack had dinner with West Indies great Michael Holding ahead of the match. "Yes, we had dinner with Michael Holding and the bowlers had a lot of questions for him. It was a good time spent with the royalty of fast bowling," he added. 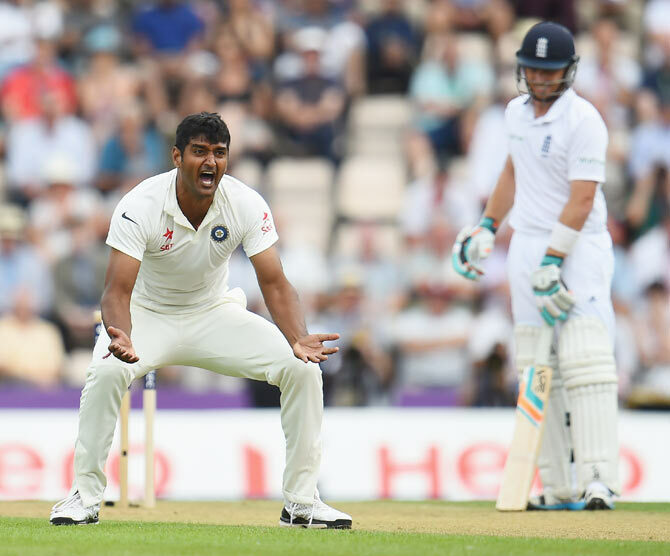 Cook was able to get away on the day when Ravindra Jadeja dropped him on 15. There have been a lot of changes with the slip cordon for India since the transition set in, and it doesn’t look set at the moment. "It is a new cordon and the ball wobbles a bit here in England after going past the bat. They are working hard as a group. Even Mark Waugh and Mark Taylor dropped a few in their time," he said. Answer your critics the Ishant Sharma way!